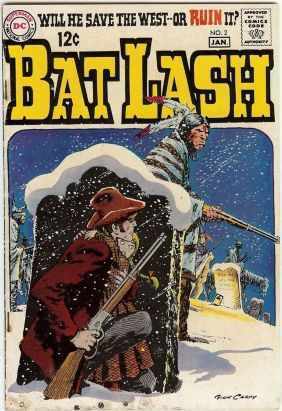 Please indulge me, dear readers, as I continue my discovery of a series I never thought would hold my interest: The lovable western scoundrel known as Bat Lash. Issue #2 (+ house ad), with a publication date of December/January 1968/1969 is the focus for this edition of the Silver Age Sage and it features a marvelous cover by co-creator Nick Cardy, who also does all the interior art and even did the plot itself, which, like each story in the series is interestingly untitled. Dialogue came courtesy of Denny O'Neil, with Joe Orlando serving in the editor's seat. I also learned recently from a conversation with him that the great Gaspar Saladino had lettering duties on the title. Things begin in a church at a shotgun wedding of Bat Lash and one of the famous Cardy babes, but Bat has bought some insurance against this affair by hiring some children to disrupt the proceedings with sacks of mice. Barely escaping in the pandemonium, less his coat and right boot, Bat Lash and his horse, Daisy, try to make it to a more hospitable locale across the cold and snowy plains. Elsewhere, a horse drawn wagon is being pursued into a canyon and the passengers, a man and small girl, Melinda, leap to safety as the wagon hits a rock and gets damaged. Swiftly the man conceals a metal cigar case inside the doll, instructing Melinda to never let loose of "Suzy." Tearfully kissing his daughter, expressing his love and then placing her into a nearby hollowed out tree stump, the Marshal turns to face his antagonists and is gunned down. Soon thereafter, his body is discovered by Bat Lash, who helps himself to the coat and boots, but no sooner dons them than Melinda, addressing him as "Daddy," asks if it's okay to come out now. Realizing she's in shock and somewhat confused by her father's coat on him, Lash loads her up on Daisy and they go to seek out a settlement. Later they arrive at Serenity, where Bat tries to find someone to care for the girl, but he is immediately accused of trying to pawn off his daughter. He notes three funerals being prepared and the undertaker himself, Samuel E. Styff, sees the ruckus and remarks to another man that he thought the Marshal was dead. Lash, trying to rid himself of the responsibility, continues to try to explain he's not her father and to get someone else to take her, but is having no luck when he stops to dine at Polly's Inn, which also seems to be a de facto orphanage for those who have lost their parents in Indian raids. Still certain he's the Marshal, a pair of gunmen arrive, but Bat fires from beneath the tablecloth, disarming them. Now it's escape mode for the man who might save the west or ruin it and ultimately he and Melinda outfox his pursuers, who all seem to be in the shady employ of Styff, the undertaker. Later, hiding out in the graveyard, Melinda and Bat bamboozle some of the henchmen into leaving their post when some Indians arrive, depositing bags of gold on a coffin. When they depart, a delighted Bat Lash helps himself to the bounty. Melinda goes to retrieve Suzy when a shot rings out, sending her and her doll sprawling. Bat turns to see what has happened and with tears stinging his eyes and Melinda's image in his pupils (amazing detail, Nick!) he rapidly returns fire from his Winchester rifle, trying for some old west retribution. It is then he hears Melinda's voice saying Suzy has been "kilt." Lash then discovers the cigar case, which apparently stopped the bullet, which contains a receipt for the sale of some rifles to Samuel Styff. Returning to Serenity with the criminals in the back of a buckboard, Bat informs the Sheriff that they've been selling rifles to the renegade Indians. The story ends with Bat wooing a local lady, but having his romantic meal interrupted by Melinda, who offers him the first flower of spring. All is forgiven as he escorts her to Miss Polly's ending the story. This issue of Bat Lash is an example of superb story-telling and I don't mind telling you the art is what really brings it home. The gifted Nick Cardy was producing outstanding work on the Bat Lash series and it's a genuine treasure. At least two pages contained no dialogue at all as it simply wasn't necessary. I'm sure I didn't even describe things in a way that truly does them justice. You just have to see it for yourself. That's even easier these days, as there is a Showcase Presents edition dedicated to Bat Lash. As a brief sidebar, this book contains some wonderful examples of something my friend Clem Robins pointed out to me, which is Nick's ability to do highly realistic renderings while inserting characters that are more caricature, and yet it all fits together beautifully. Who knew you could have so much fun in the Silver Age outside the cape set? A full 10-point rating for this outstanding story. This one has been a long time coming, and I owe thanks to a number of people who helped me to finally get the opportunity to interview the wonderful Nick Cardy. It all began with Alex Johnson, who directed me to a recent interview with Nick by Alex Deuben, who referred me to the delightful Renee Witterstaetter, Nick's literary agent, who in turn arranged for me to set up an appointment through Todd Dezago. How's that for peeling the onion? Bryan D. Stroud: Mr. Cardy, I wanted to begin by thanking you for your time. I've been lucky enough to speak with a couple of your peers and they had very fond memories of working with and spending time with you. Nick Cardy: My pleasure. I guess you could say that Carmine Infantino is a fan of my work. BDS: It's interesting that you mention Carmine. I've had the pleasure of talking with him several times and you're 100% correct. He adores your work and it almost looks like he kind of passed the torch making you the primary cover artist at DC. NC: Well, what happened was at the time I was doing Bat Lash. Any new books come out and if they feel it has a potential they would give it about a 7 month trial. Now I could be wrong on this. But generally Carmine said what they do is they give it a year and if it doesn't make any money then they drop it. So on the last thing that I did of Bat Lash…did you ever see Bat Lash? BDS: I'm lucky enough to own three original issues of it and I really enjoyed the series a whole lot. NC: Well, I wrote number two. That was the one with the tombstone. BDS: Yeah, in fact that's one of the copies that I own. 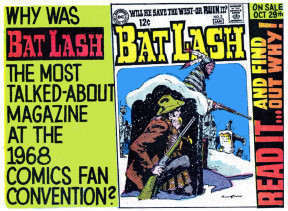 NC: Well, Roy Thomas with Alter Ego is going to write a feature about Bat Lash. BDS: That will be wonderful. NC: I had three magazines. The latest one was several years ago where I showed a painting or drawing, but I showed it would be on the top of the page and on the bottom I would show how it started with thumbnails. Little pictures with final tracing and color notes and then the painting. And I would do that with almost all of them. BDS: Yeah, that looks fascinating. NC: Well, the thing is that during the war I carried…in your duffel bag was your luggage, your sleeping gear, you carried your laundry, everything. It was in the duffel bag. That's where your possessions were. So I had about eight 3 x 5 little spiral sketch pads. And I always did a lot of sketching. And some of them are very rough, because it wasn't safe to sit out there in a combat zone drawing. So I took notes and on some of them if I found a larger piece of illustration board or something I had a little box of…years ago they used to have these cough drops that had a lid on it like Sucrets or something like that. Well at that time I was about 21 or I don't know, but prior to that I had a little something underneath with a wire that you could put your thumb through like a palette. And then I'd put little squares of water color in it. And I had a brush that was cut. I had one of these stationery things that had a spiral thing where you could spiral the brush into it and you could seal the brush inside and spiral it and you had a brush that was pushed around and bounced around, see. And that was my watercolor setup. Now these inks weren't waterproof. If I did a pen and ink sketch, and maybe there was a situation where I needed a little tone on the face, or maybe the sky or something, you put your finger in your mouth and wet it and just go over the ink and spread it out. But you could only do it that way five times. Because you run out of fingers. (Chuckle.) You don't want to be talking with a purple tongue, you know? Anyway, I had all those sketches in a box and then, oh, years later I didn't want the pads to get mutilated, so I tore the pages out and put them in a loose leaf vinyl type thing. Then my agent, Renee Witterstaetter, she's a fantastic woman, she's the only woman I know who reminds me of when you get a movie star and the movie star is making a movie. This agent goes out and gets with all the publicity people and lets them know this girl's going to do a fantastic movie, you know? And they call to review, and that's where the publicity gets around and sometimes it's been more publicity than what the movie's worth. (Chuckle.) But every now and then you get a long shot that pays off. I certainly hope this book will fall into that category. BDS: It sounds like you were thinking ahead by holding onto all those sketches. NC: No, it was just a matter of perhaps being a little bit of a packrat. For example, I still have some watercolor paper I bought when I went to high school. It's tucked in some corner somewhere. And the pages look like they have freckles on it, because some of the pages weren't cured, so some of them, after a certain period of time, you can see little spots coming up in the paper where it wasn't completely acid free or whatever. BDS: When you were doing so many of the covers for DC back in the day, did you have regular cover conferences with Carmine? NC: Yes. Carmine was very good at it and his covers were always a success. In fact there were some of his covers that brought DC back to life. It seems to me that there's always a little friction. There seems to be an undertone of friction somewhere around. If one guy gets elected, the others get upset. But he used to make layouts and he'd show me the layouts. He'd say, "Nick, what do you think?" I'd say, "That's great, but if you want to give it more power why don't we tilt it this way or that way?" And we'd chat around until we came out with a cover. Because sometimes; I'd find this in drawing, too, when you have a good cover, like he used to have covers that were on a slant. He'd have the landscape on a slant. BDS: That seemed to be a favorite technique. NC: Yeah, and then there was one scene where I had Superman on a slab and on the shoulders of these four soldiers. I remember it was raining. They thought it was like a dead theme. But then they had that same theme with Aquaman on a kind of slab and then they had someone else on a slab on another cover. So sometimes you go with the success. But then you stop and you go to a different angle. He liked me for the reason that we both enjoyed using our talent in whatever we were trying to create. So we got along and I think the work showed that. BDS: Carmine is probably your biggest fan, but you already knew that. NC: You know I've often thought that had I been drawing Captain America or Superman for a long time, there would have been a lot of prestige with that. But when you draw characters that are secondary, they're like backups. It doesn't pack the punch. People don't clamor to see Aquaman. It's just not as popular a character as Superman. But when you read a lot and you're a fan, you're a fan. You like almost anything. And sometimes you become a fan and the people become a fan of the artist. He can even show an intermediate character and no matter what he does it will sell the book. So that's why I say had I drawn…let's see, I had started with…years ago, a police thing. "Wanted" or something, I forget. It was a detective story. Then I was going up the ladder with Tomahawk and then Daniel Boone and then Congo Bill and I went up. Then I did Aquaman and the Teen Titans and then Bat Lash. Now with Teen Titans, I had done about 40 books both insides and covers. So when they wanted me to do Bat Lash, at that time Bat Lash came in at a time when all the Westerns were being deleted from TV. They were old hat. People didn't want to watch them anymore. But at the same time in Europe the Spaghetti Westerns were being discovered. Bat Lash came out at the time of the Spaghetti Westerns. Then when they found out it wasn't making any money here in the states because they were tired of that, but in Europe they couldn't get enough. Carmine said, "My God, these guys are so hungry for your westerns." BDS: Oh, yeah. Especially with two books I'm sure it was challenging. NC: Yeah. So afterward Bat Lash was discontinued and Carmine didn't want me to go to waste, so he put me on doing covers. I did most of the covers for the characters. I must have done about 400 covers. NC: By the way, I looked at it, and this is a repeat thing, because on one of the books they had me write the prologue, one of the Teen Titans collections I think, and when I wrote the prologue I said, "I think I've done enough comics to cover the ceiling of the Sistine Chapel and maybe one or two side panels." (Mutual laughter.) Because you know you take those pages, and you put them side by side, and they're something like 18" high and 11" wide or whatever, but you put them side by side, you can cover a whole wall with my Bat Lash work and after a certain length of time, I'd put them like cards. I'd tape them at the bottom and then when I was through I'd fold them up and put them away. (Chuckle.) But I had some hanging up. After a year of hanging up there they started turning yellow with age. So anyway a friend of mine bought the whole batch. In those days they didn't sell for much, though. BDS: Right, no one had any idea that the art would be valuable later. NC: Right. I remember one time I was someplace and I said, "Here, would you like a Batman cover for your wall?" They said, "Gee, Nick, I've got so much crap up on the wall now I don't have any room for this." Later on I used to get $60.00 or $65.00 for a cover. That's pencil and ink at that time. Then I found out in 2001 one of them went for $19,000.00. NC: I never got any of it. Whoever had it got it. And there's one collector who collects everything of mine, and he put me on TV. If you look up Nick Cardy, maybe you'll find it. He put up this thing cataloging all my stories that got put out. You see I don't have a computer. If I had a computer, I'd never get any work done. You go to the computer and say, "I'm going to look up sales on suits at this place." So you look up the suits and they don't have what you want, so instead of cutting it there, you say, "Well, let me look at J.C. Penney," and you spend all day looking for these damned things and the next thing you know its lunch time. And you'd be surprised. Living in a day is sometimes like coming out of your bed and you get to one of these revolving doors. You go from one door and you go to the next door and you go to the bathroom, the next one you go to the kitchen, then you go to the studio and the next thing you're back in the bathroom and you keep going and you get a phone call and then figure you're making half a turn. (Chuckle.) And when you count the diversions that you have in a day and it's amazing anything ever gets done. I can get pretty absorbed in my work, too. One day I was sitting by my window drawing and I saw these people going by with a big package of things and they saw me and said, "Nick, aren't you coming?" I said, "Where are you going?" They said, "What's the matter with you? Didn't you know there's a hurricane coming?" So they said, "You've got to evacuate. Either go to a shelter, or take your car and drive." I called someone and they said to drive 40 miles away. I decided to take a trip after I spoke to this officer. You can't overestimate the power of a hurricane. BDS: Yes. I can speak from some experience, unfortunately. BDS: It's a very helpless feeling. You drive a tank with levers and not a wheel. You pull the right lever and it locks the right wheel while the other wheel keeps going, so that's how it turns. Simple, child-like logic. Then we were moving positions, getting back to the original tank story, and my tank driver says, "Hey, Nick, I'll let you drive. You see the tank ahead? Just follow it. If it stops, you stop." So I did that and we were carrying an infantry outfit on the back of our tank. They would sit on the back where the ventilating system is. You'd be literally moving a whole infantry division with you. So when the tank ahead of me stopped, I stopped. At the second point I stopped again and at that second stop more troops were coming up on the tank. They were coming up the side and coming in the back and I was wondering, "How the hell many more can we hold?" Then I went again through two more stops and finally they said to stop. The driver went out and said, "Okay, lock it." So we locked it. There was a pause up ahead. I got out and there were some woods where we'd paused and I went back there to relieve myself and when I got back these guys were arguing with my driver. I asked, "What the hell happened? What's going on?" He said, "You know what you did, Nick?" "What?" So I went through three tanks like that. Anyway, that's the humorous part. Sometimes you'd have spots where you find we'd liberated one or two concentration camps. When they saw the American tanks come in, they'd leap for joy. They'd come running up to the front of the tank before it even stopped. The rumor from headquarters was that some of these guys died right after the Americans came in and fed them. Their systems weren't used to good food. You had the misery of seeing one house when we got to the Rhine and we went to this house and found a trapdoor and here are these women with babushkas on and oh, the terror on their faces. Women and children looking up at the trapdoor. It looked just like all heads. It was like a sardine can and they were terrified. Talk about getting someone scared like hell. We said, "Take it easy," but the enemy always pictured…one side always pictured the other side as monsters. Propaganda. BDS: I don't mind a bit. I thought if you don't mind I'd ask a couple of technical questions as far as materials and things. BDS: It looks like since you pretty much always penciled and inked your own work, were you fairly loose on the pencils? Was most of your artistry from the brush? NC: Well, I'll tell you, I used to, many years ago, when I worked for Eisner, there was an artist called Lou Fine. He used to work with a Japanese brush. A #1 brush. The point was so long and so fine that you could get a line that almost disappears on you. It was so fine, and I got influenced by him. I also saw the pen he had, so I bought one like it. The lines were so fine and my anatomy wasn't that good. I was learning. When I was a kid I had paintings that I did for the school that they published in the Herald-Tribune or one of those early papers. The teachers wanted one on sports. It was a 4 x 8 panel and another one did his panel. Mine was on sports and the others were on classroom activities. So that was published and quite a bit of the stuff was published, and boy, now I was a professional. So when I got with Lou Fine I tried to learn from his detail, but he was a better artist, in my opinion, than Bill Eisner. Bill Eisner's line was heavier and he was a better story-teller. Then I got some different brushes. In fact, at one of the conventions I was sitting next to George Tuska and he said, "Hey, Nick. Do you still use a #8 brush?" I said, "A #8 brush?" Are you familiar with brushes and their numbers? NC: A #1 is very fine and it goes up the line and gets a little thicker and I was looking for when the hairs come out of the ferrule, that's the metal part, sometimes they have hairs that come to sort of a bulb and make a very sharp point and they hold a lot of ink. Yet you still have the fine point. So with the smaller brushes, they don't have that big a bulb. You just have what's on the tip of the ink pen and you get a sharp line. But when the ink runs out of one of those with the big bulbs, you have a thicker line. So I had a lot of brushes and at the time they may have been about $3.00, but in the past 30 years or so it's gone up to about $18.00 for a good brush or more. So I learned to get a heavier line to get away from the fine line because everything I did I figured you could hardly see the legs. I wanted more power. Then I got too powerful. (Chuckle.) Then gradually I worked my way and say I'm going to do a cover or any designs in a story, I would go to make an abstract figure. I would put a circle for a head for example. First I would put a design on the page where I would design where the picture's going. What I wanted to tell. If it's a motorcycle, I'm not going to put it in a compositional line that's vertical, like a church cathedral or something. You want to put it where the horizon shows and you get the speed of the vehicle or the action you want to do. So you make all these designs in the beginning without figures or anything and put a bar or something to indicate the figures. But you don't show a lot of legs and all that. You work it that way and then you do the black. If it's too heavy on top you go with a little darker spot on the bottom to work out a balance and all these things. That I did mainly for the covers. I hate to knock anybody, but every now and then they had a group of artists that did the coloring and it wasn't like with the computer. You had to do it with ink dyes for your colors. They would do that with each page. So sometimes you'd tell them, if they don't have any artists there to tell them, sometimes some of the covers came out as if they called the janitor to say, "Here, finish this job up." But the majority of those guys worked hard to do that. It still wasn't like the computers, though. In the beginning, when I was working for Eisner, for about five pages I was getting $25.00 a week. This is in 1940. At that time if anybody made $100.00 a week that was a hell of a lot of money. NC: And if you bought a home for $20,000, it was "Oh, my God!" Everything is relevant, you see. Things changed over the years. I was born at the time of the Great Depression where you were just living from hand to mouth. I didn't go to college or anything like that because I couldn't afford it. So instead I went to the library and I lived in Manhattan on Third Street. I would walk to 82nd street to the modern museum of art and spend a day looking at the paintings. I would take a little notepad and things like that. You would have some guys who would copy the paintings with paint. They would never let you copy the same size as the painting. It had to be either larger or smaller. Never the same size. Because they were afraid people would start selling them. But that was my education. BDS: So you're mostly self-taught and natural talent. NC: Yes and if I wanted a life class I'd go to the Art Student's League and for $1.50 you could spend the time drawing with your own pad and there was an instructor that came in who would walk around and check things out. I used to know a guy who would sit next to me and whenever you had these models I would draw the figure and everybody else would draw the figure. Anyway it was some time later and I got a call from him and he said, "Hey, I'm having a one man show, do you want to come down?" So I came down and he had his paintings on the wall. 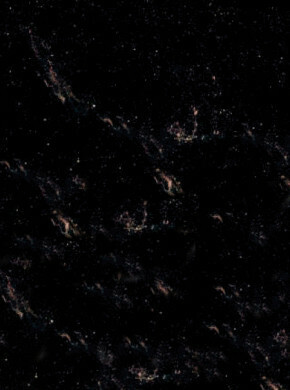 Little abstractions. So we were leaning into the edge of the door. We had some line or something like you have at these parties and this little short man was showing these two beautiful girls around and describing what the painting was. "You see what the artist is trying to do? He's trying to come from this direction." And he's trying to build this thing up and we're both listening to him and these girls were enthralled. So my friend looked at me and he says, "You know Nick, I wish to hell I knew that when I was drawing it." (Mutual laughter.) This guy was going on a fantasy of his own and it was impressive. It sounded great. NC: One time I was drawing and I heard this guy on the television and I stopped. Everything he said was fantastic. He was talking about composition and what the impressionists went through and oh, it was great. And then there was a little commercial break and they came back on and he said, "Look, I'll show you what I mean," and he got down and he started drawing and what he was doing was awful. He couldn't draw at all. I think he'd have done better if he'd just continued talking. His talking was great, but his drawing was lousy. It was like a Picasso. Did you ever see Picasso's work? But anyway, I feel I'm monopolizing this with a lot of oddball stuff. NC: You were asking about the material. I hope I answered it. BDS: Yes, that part. Can you tell me a little more about the brushes? The material, for instance? NC: Oh, it had to be sable. Especially for those, because with the bristle brushes, they're better for painting or if you're preparing…say for example if you're going to have a board, illustration board, and you want to have a one tone background, then you could use a bristle brush. You can do it very quickly and very lightly, but bristles leave a lot of…it's like combing your hair where every other tooth is missing. You can see the streaks in the paint when you put it on. Unless of course you want it with that effect. I use the sables and the sables are very expensive. They were very good. When you had a sable brush and you pressed down to make a line, after you picked it up, the sable would go back into position. With the cheaper brushes if you're putting pressure on it to create a line…say you're doing a fine line. Then as you're getting into the line you want a little more pressure on it and then to lighten up, a sable brush will help you on that. But if you have a cheap brush, as soon as you push a heavier line, that brush stays in that position. It doesn't go back to the point. That's why there are certain sables that are more expensive than others. Now the Japanese, when they had their brushes, they had them on bamboo sticks. They had the hairs, and I don't know how they were conditioned, but they would tie a string in the middle of the hairs and they would twine the knot and it would go through the bamboo and when the hairs got to the other end they would pull those hairs that you're going to paint with to the brush and that makes the ferrule. Sometimes they would push it through a little stub and then that stub fits into a smaller piece of bamboo that fits into a little larger piece of bamboo. And if the hairs are getting a little short you can pull them out a little. NC: But they never work. When you pull them out, at least for me, they would lose their sharpness. But with me, every now and then, if I lose my sharp brush I always use it again because I had to work with texture. I would use a fine line generally for a woman's or a man's skin or a little heavier depending on the material of a shirt as compared to a coat or as compared to a fur coat. When I made the lines of a fur coat I just more or less put ink in the brush and then pat it down on a dry pad so the hairs would come out. No point at all, just hairs and I'd do the lines with that. Then I'd make it come out a little hairy, you see. Then the other lines would come out less heavy. In all my art that I've done, every month, my work would look different. Because I had what I would call a mix-master. Now bear with me. This is a silly old man talking. I had a mental mix-master that, if I liked the drawing of two or three different artists that drew faces well, or do women's hair well, I would try to copy them in a sense. Then I would go from one to the other and then I would put that in my mixture. In the pot. Then I would go somewhere with somebody else who doesn't do the faces that well, but does the figures beautifully. I would take what I learned from him and put it in the pot. Those would be my building blocks. I'll take from Degas, I'll take from Michelangelo, the body, I would take all these where you'd need anatomy, anything that I needed, I'd put it in the blender. After about a year…not even a year, you change that and get a different blender. Because if you stay with the blender, you'd get like where so many guys would just copy the style of Terry and the Pirates or Flash Gordon or Prince Valiant by Hal Foster. They'd copy these different guys and they'd never get out of the groove, so they don't become original. They become imprints of their master. If you change it, then you build your own. NC: Gil Kane, yeah. We went to school together. Gil Kane said, "I can see your work." A lot of other fellas, you could see their work, but I tell you when you go into the comic business, you're going into a place where there are a lot of artists, a lot of writers, and it's like walking into a physical maze where you walk in and out and nobody praises anybody else. You know what I mean? It's a battle of egos. NC: Well, yeah, and also , with me, there were people who liked my work, but they never told me. Julie Schwartz one time wrote in one of my books, you know when people write things they know about the artist, "Oh, I know him," that sort of thing. NC: Yes. His article was "Well, the thing I remember about Nick Cardy is that he came in one day with a cover and he showed it to Carmine and Carmine said, "That wasn't the layout I gave you," and Nick said, "No, it's better," so Carmine said, "You're fired." Then supposedly I turned around and walked out and then Julie told Carmine, "You know, it's a beautiful cover." Carmine said, "All right, you're hired." So when I met Carmine at a convention I told the story and he said, "Nick, that's so stupid." We always got along. He respected my talent and I respected his opinion, because it's a matter of when you have two heads, sometimes you get better stuff done. So I said, "Look, Julie's right down there trying to sell his book. Let's go see him." So we went down and I told him the story and Carmine said, "You know how I feel about Nick. We never said that." So Julie looked up and he said, "Well, it was a nice story anyway." (Mutual laughter.) He had a way of brushing things off. One time there was an artist friend of mine whose work I like very much and he was a gentleman. I met him and his wife at this motel in San Diego and we went down to have dinner at the hotel. Julie was sitting at the table and I sat at the table and we were talking and then these two people came. They hadn't been to San Diego in years and he came up there and they were older friends that he'd known for a longer time and this other guy's wife said, "Oh, Julie, you know I'm going to be a grandmother." He said, "I've got 4 great-grandchildren." She said, "Yeah, but you're old." And that was the first time I ever saw Julie Schwartz quiet. He didn't have a comeback! But nobody said your work was nice in the comic business. They were afraid you'd ask for a raise. More Nick Cardy next time, readers, so don't forget to return August 15th for the conclusion to this interview with a man whose career began in the Golden Age and cut a wide swath through the Silver and Bronze Ages along the way. We strive to be your number one source for all things Silver Age in the DC pantheon. Let us know how we're doing: professor_the@hotmail.com.